This article is about a former military department of England and later the United Kingdom. For other uses, see Admiralty (disambiguation). 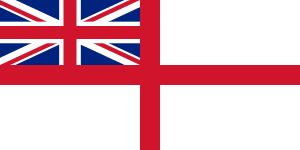 The Admiralty was the government department  responsible for the command of the Royal Navy in the Kingdom of England, and later in Great Britain, and from 1709  and until 1964 in the United Kingdom and former British Empire. Originally exercised by a single person, the Lord High Admiral, the Admiralty was, from the early 18th century onwards, almost invariably put "in commission" and exercised by the Lords Commissioners of the Admiralty, who sat on the Board of Admiralty. The office of Admiral of England (or Lord Admiral and later Lord High Admiral) was created around 1400 although there had already been Admirals of the Northern and Western Seas. In 1546, King Henry VIII established the Council of the Marine, later to become the Navy Board, to oversee administrative affairs of the naval service. Operational control of the Royal Navy remained the responsibility of the Lord High Admiral, who was one of the nine Great Officers of State. In 1628, Charles I put the office of Lord High Admiral into commission and control of the Royal Navy passed to a committee in the form of the Board of Admiralty. The office of Lord High Admiral passed a number of times in and out of commission until 1709 after which the office was almost permanently in commission (the last Lord High Admiral being the future King William IV in the early 19th century). In 1831, the first Navy Board was abolished as a separate entity, and its duties and responsibilities were given over to the Admiralty. In 1964, the Admiralty along with the War Office and the Air Ministry as separate departments of state were abolished, and re-emerged under one single new Ministry of Defence. Within the expanded Ministry of Defence are the new Admiralty Board which has a separate (second) Navy Board responsible for the day-to-day running of the Royal Navy., the Army Board and the Air Force Board, each headed by the Secretary of State for Defence. 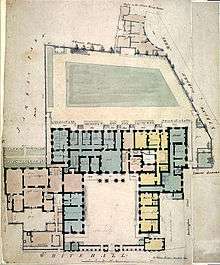 Board of admiralty about 1810. 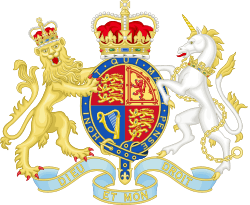 When the office of Lord High Admiral was in commission, as it was for most of the 18th, 19th and 20th centuries, until it reverted to the Crown, it was exercised by a Board of Admiralty, officially known as the Commissioners for Exercising the Office of Lord High Admiral of the United Kingdom of Great Britain and Northern Ireland, &c. (alternatively of England, Great Britain or the United Kingdom of Great Britain and Ireland depending on the period). The Board of Admiralty consisted of a number of Lords Commissioners of the Admiralty. The Lords Commissioners were always a mixture of admirals, known as Naval Lords or Sea Lords and Civil Lords, normally politicians. The quorum of the Board was two commissioners and a secretary. The president of the Board was known as the First Lord of the Admiralty, who was a member of the Cabinet. After 1806, the First Lord of the Admiralty was always a civilian while the professional head of the navy came to be (and is still today) known as the First Sea Lord. 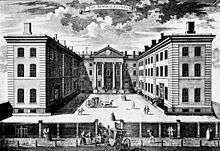 The oldest building was long known simply as The Admiralty; it is now known officially as the Ripley Building, a three storey U-shaped brick building designed by Thomas Ripley and completed in 1726. Alexander Pope implied the architecture is rather dull, lacking either the vigour of the baroque style, fading from fashion at the time, or the austere grandeur of the Palladian style just coming into vogue. It is mainly notable for being perhaps the first purpose-built office building in Great Britain. 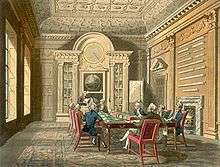 It contained the Admiralty board room, which is still used by the Admiralty, other state rooms, offices and apartments for the Lords of the Admiralty. Robert Adam designed the screen, which was added to the entrance front in 1788. The Ripley Building is currently occupied by the Department for International Development. Admiralty House is a moderately proportioned mansion to the south of the Ripley Building, built in the late 18th century as the residence of the First Lord of the Admiralty. It served that purpose until 1964. Winston Churchill was one of its occupants. It lacks its own entrance from Whitehall and is entered through the Ripley Building. It is a three-storey building in yellow brick with neoclassical interiors. 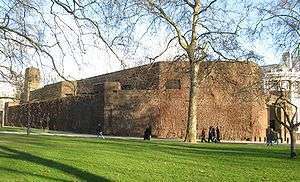 Its rear facade faces directly onto Horse Guards Parade. The architect was Samuel Pepys Cockerell. There are now three ministerial flats in the building, which were unoccupied in 2012. This is the largest of the Admiralty Buildings. It was begun in the late 19th century and redesigned while the construction was in progress to accommodate the extra offices needed by the naval arms race with the German Empire. It is a red brick building with white stone, detailing in the Queen Anne style with French influences. It has been used by the Foreign and Commonwealth Office since the 1960s. The Department for Education will move into the building in September 2017 following the Foreign and Commonwealth Office's decision to leave the building and consolidate its London staff into one building on King Charles Street. ↑ Hamilton, C. I. (Feb 3, 2011). The Making of the Modern Admiralty: British Naval Policy-Making, 1805–1927. Cambridge University Press. p. 56. ISBN 9781139496544. ↑ Defence, Ministry of (2004). The Government's expenditure plans 2004-05 to 2005-06. London: Stationery Office. p. 8. ISBN 9780101621229. ↑ "New title for Duke of Edinburgh as he turns 90, who remains the incumbent.". BBC news. BBC. 10 June 2011. Retrieved 10 June 2011.